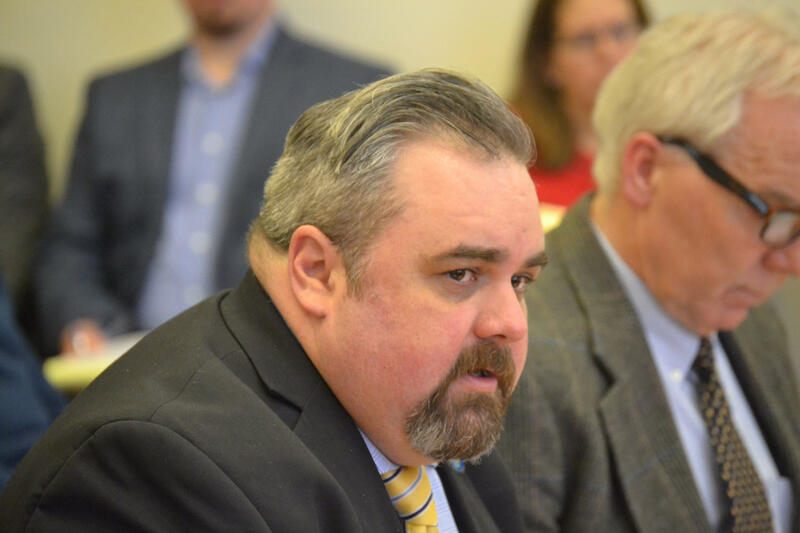 Windham Republican Rep. Patrick Corey argues Tuesday in favor of his bill for a $20 million bond for school security. Leaders also allowed in a bill that would require prioritizing school security upgrades for any borrowing from the school renovation fund. Sen. Garrett Mason, a Lisbon Falls Republican who serves as Senate majority leader questioned how the bill would work. “Your intention with this bill is just to make it very clear in the law that when one is applying for the revolving loan fund, that security would be the first thing that should be and would be considered?" he asked. But leaders rejected bills to allow school districts to arm school personnel, including teachers, ban high capacity ammunition magazines and outlaw bump-stocks that allow semi-automatic rifles to operate like a machine gun.